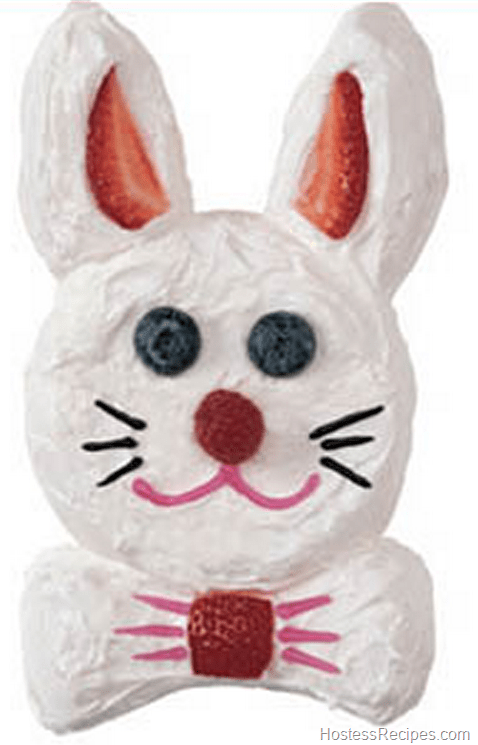 DIRECTIONS: For each Bunny cut 1 cake according to the image shown. Arrange on a plate using a whole cake as the face and placing the bow tie and ears appropriately. Cover the entire cake with frosting then create the face with berries and decorating gel.